Fire & Smoke Debris Removal Services | 1800-GOT-JUNK? 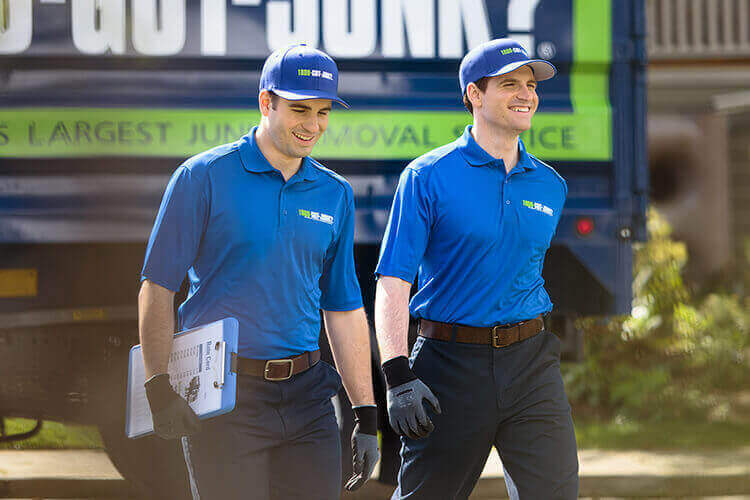 At 1800-GOT-JUNK?, we’re professionals who specialize in fire cleanup services and are here to help get your home or business back to normal as quickly as possible. You can count on us to provide fast, reliable, and professional service in your time of need. When you choose 1800-GOT-JUNK, you know you’ll be getting service you can rely on. We know time is of the utmost importance and we pride ourselves on always offering on time service. You can take comfort in knowing that our friendly, professional teams understand the delicate nature of these situations and will work hard to help get you back to normal as quickly as possible. In the event of damage from wildfires, our business is equipped with satellite communications and GPS technology, so we can continue to operate even when essential services are down, making 1800-GOT-JUNK? the most reliable fire rubbish removal service around. We’re able to clean up debris caused by fires quickly and efficiently, even in a time of crisis. We can take any non-hazardous items that two people can safely lift.